It is Not About the Coat! It is early morning. I am on my cross trainer. I am listening to the BBC World Service. I hear a 25 year old man say that he was born in a refugee camp. He says he has grown up in a state of limbo. My legs pump on and my mind wanders off. I have never been to a refugee camp where people live in a state of limbo. My knowledge of refugees is confined to a TV screen or, as is the case now, a radio broadcast. My mind pulls up short in front of the linen cupboard. There is no logical connection between the coat folded up under the sheets and towels and this man living on the border between nowhere and somewhere. My mind roams freely while my body enjoys the safety of a garden, a job and two passports. His body and mind, on the other hand, are in a “place of restraint or confinement……………of neglect or oblivion; in an intermediate or transitional state of uncertainty”. (*) He is in what Roman Catholic theology defines as “an abode of souls that are barred from heaven because of not having received Christian baptism”. The refugee and I might have something in common. The brain can make these connections. So what’s the connection with the coat? Well, it has been lying dormant in the linen cupboard since last winter doomed to sartorial oblivion because its rich owner replaced it with a newer model. It deserves a new home. I would love to give it to a refugee (**) or even a migrant. I am unsure of the difference. 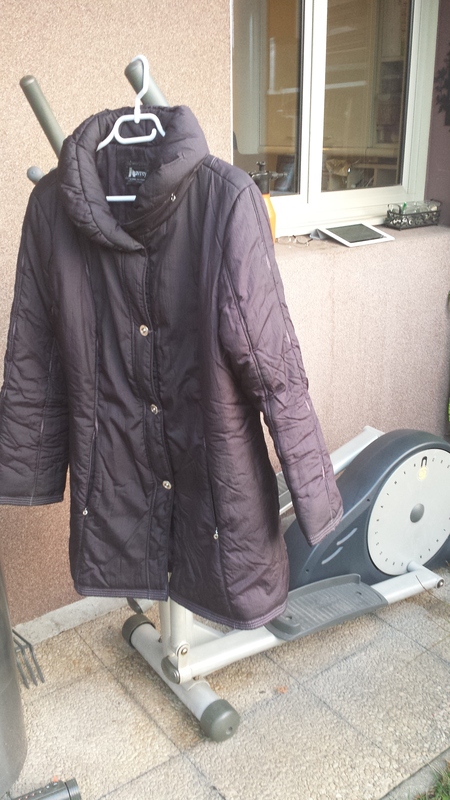 The coat will not discriminate so how do I get the coat from the cupboard and on to the back of someone who needs it. I could take it to Zeebrugge in Belgium although a “Person of Authority” is warning its citizens not to feed the refugees in case it encourages more to come to Zeebrugge. They say the same thing about feeding the bears in Anchorage, Alaska. You can’t trust a hungry bear especially if its natural source of food has been tampered with. Given the sheer mind-boggling size of the tampering in the Arab and African worlds there is a real possibility, if I go to Zeebrugge I might find myself with only one coat and thousands of potential beneficiaries. My mind has time to entertain me with another idea. I see myself walking the streets of Paris, waiting for the right refugee to come along. I whip the coat off my back and in one munificent gesture I hand it to her (the style is not quite right for a man). There is a suitably sized crowd – all well dressed – quietly admiring my generosity. She……… she is of course speechless with gratitude. I enjoy the scene so much that I play it several times making minor adjustments with each replay. The egocentricity of the reverie matches the magnitude of the problem. My ears pick up the BBC reporter again. He is asking the High Commissioner for Refugees why he is in London following the failure (once again) of the peace talks (after only one day) between the warring factions in Syria. He says he wants governments of the rich nations to donate billions to an aid fund. This money will be used to set up infrastructures such as education and health care within the refugee camps. He supports his argument by saying that the average amount of time spent in one of these camps is 17 years. He adds that at the moment 50% of those arriving in camps today are women and children. So the camps are permanent structures far from heaven? I am 1 meter 80 in height and the coat is a size L but what can one coat do when faced with such human misery, such barbaric insanity and such preposterous figures? 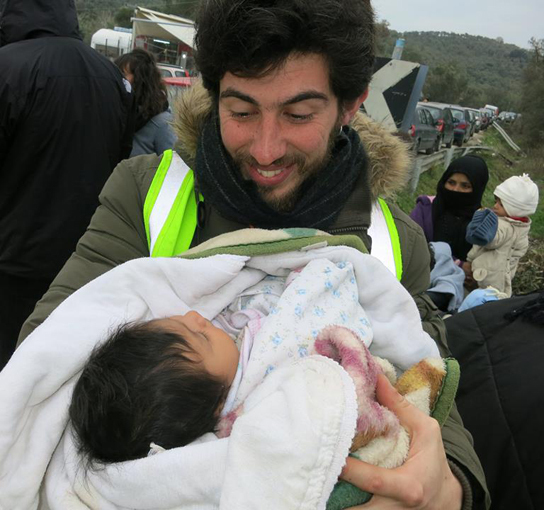 I know a lad in his early twenties, undaunted by the size of the calamity, who took himself off to Lesbos to see what he could do to help. He reports that scores of young people from places like Holland, Iceland, the UK and elsewhere have shown up and spontaneously organized themselves into teams of dung collectors or blanket washing brigades or ‘whatever-needs-to-be-done groups. Apparently the international aid organizations are unable to cope. My coat is now infinitesimal in size and is unlikely to ever fit anyone. It might make a good sleeping bag for a little boy or girl who has survived the crossing…………………………. At the end of 2014 there were 19.5 million refugees worldwide.